A new study by Normandeau scientists and colleagues demonstrated an 85% reduction in bat fatalities at a wind energy facility in Wisconsin. The study, published in Ecological Applications, and sponsored by The Electric Power Research Institute, was conducted at the We Energies Blue Sky Green Field Wind Energy Center in Fond Du Lac County, Wisconsin, and tested a smart curtailment approach referred to as Turbine Integrated Mortality Reduction (TIMRSM). This approach uses sensors deployed in a turbine field to detect the distinctive sounds emitted by bats when they use echolocation to navigate and search for prey. 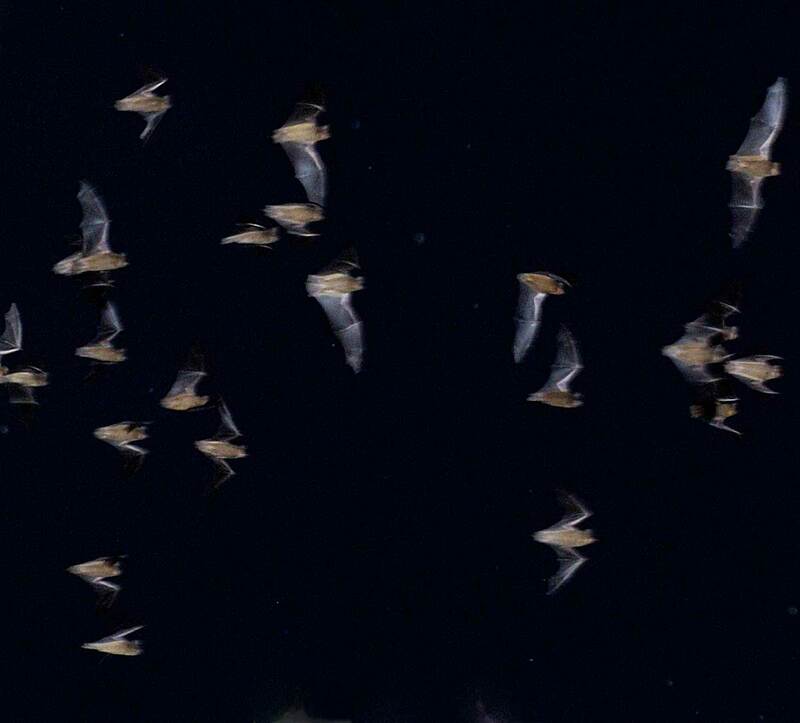 Upon confirmation of nearby bat activity and targeted wind speeds, the TIMRSM system sends instructions to curtail turbines, greatly reducing the risk to bats. When bats are not present, TIMRSM allows turbines to continue at their normal operating capacity. “Scientists estimate that hundreds of thousands of bats may be dying each year at wind energy facilities in North America, which is a serious blow to animals that help control insect pests. Reducing bat fatalities at wind energy facilities is one of the most significant challenges confronting the continued expansion of wind energy development”, said study lead author Mark Hayes, PhD. Dr. Hayes is a Senior Bat Ecologist at Normandeau Associates, Inc., an environmental consulting firm that specializes in solving difficult technological challenges in the environmental sciences. “The TIMRSM smart curtailment approach reduced bat fatalities among all bats by 85%, including by over 80% for the three migratory tree bat species most affected by wind energy development (hoary bats, eastern red bats, and silver-haired bats). The TIMRSM approach also reduced Myotis fatalities by over 90%, which is good news since these species have been hard-hit by white-nose syndrome in North America”. The contiguous U.S. has over 45 bat species, many of which have critical economic impacts to include pollination of cactus species in vulnerable desert ecosystems, and helping to suppress crop pests and mosquito populations. Hayes emphasized that TIMR’s smart curtailment approach reduced fatalities for all species observed at the site while reducing curtailment time significantly compared to other commonly used curtailment strategies. The result of this “win-win” solution is another data point demonstrating that natural resource protection doesn’t need to come at the expense of energy production. We Energies Blue Sky Green Field’s 145-MW capacity wind farm, with 88 turbines on a 10,600-acre site, has been operating since 2008. It is the second-largest wind facility in the state of Wisconsin.